Speedy access to and from London, yet boasting swathes of open countryside, South East England is a rightfully popular camping destination. Factor in the historic towns, ancient castles and manicured country gardens, and it really is an unbeatable place to pitch your tent. So, whether you're looking for a hidden coastal nook, an undiscovered British vineyard or a spectacular glamping site with treehouses and hot tubs, there'll be a place in the South East for you. From the Chiltern Hills and the Home Counties, to the White Cliffs of Dover and the battlefields of Hastings, the South East of England is a vast and varied land. Whether you're looking for a woodland getaway or a seaside patch to pitch your tent, there's bound to be a campsite to suit your needs. Covering multiple different counties, this region of the UK is a hugely popular destination and whatever county you're visiting you're sure to have a fantastic stay. Why not go to Bedfordshire on your next camping holiday? With scenic campsites, glamping retreats, family-friendly spots and sites where caravans are welcome, you won’t know which campsite to pick. Read on and book a camping holiday today. Pitch a tent in Berkshire and enjoy a camping holiday in a waterside, remote location. Or if you’d prefer, glamp in a bell tent, a more luxurious camping option. 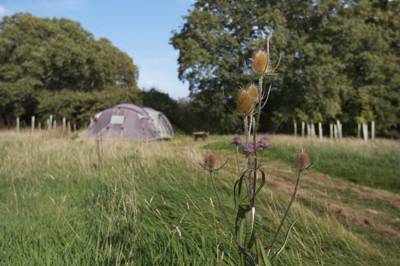 From one extreme to the other, you’ll find a campsite in Berkshire to suit you. Whether it be glamping, dog-friendly camping, or a spot to pitch your tent, there’s a campsite for you in Buckinghamshire. 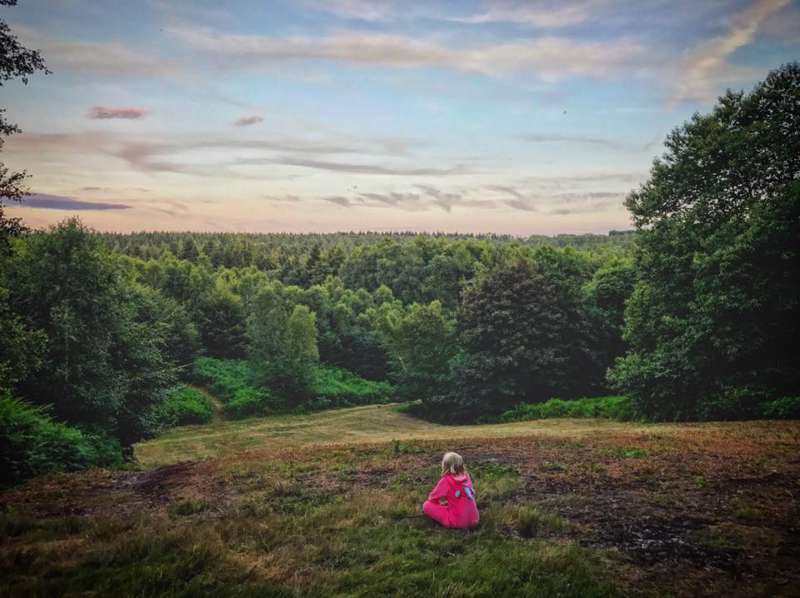 Campsites with good views, sites that are good for kids, there’s no shortage of camping options in Buckinghamshire. Have you ever been camping in East Sussex? If you haven’t you’re missing out. With an array of campsites you really are spoilt for choice. 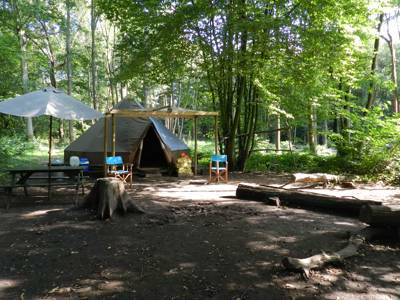 Luxury glamping, woodland camping, campsites that are child-friendly, group-friendly sites. Plus many more camping options. Take a look at Cool Camping’s handpicked list of the best campsites in Hampshire and book your camping holiday in an instant. With campsites ranging from woodland camping and waterside sites to beachside campsites and romantic retreats, you won’t know which campsite to choose. 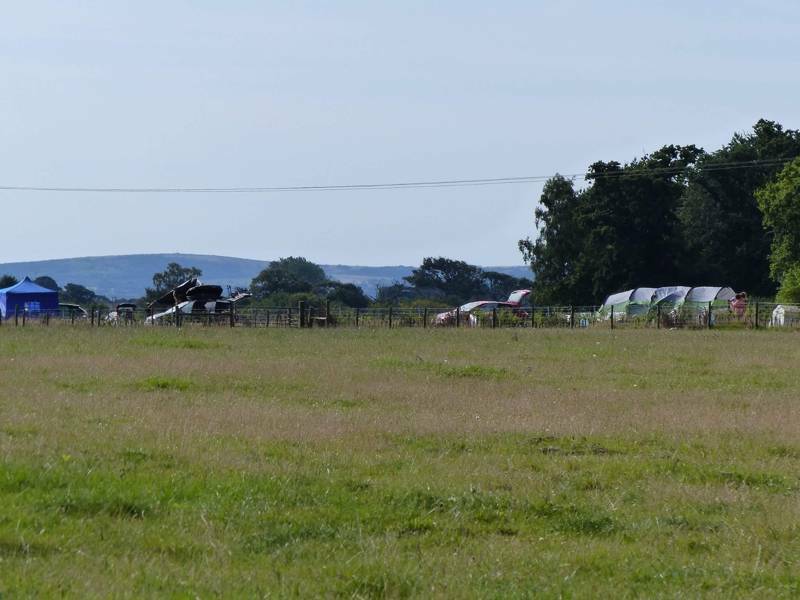 Discover the best campsites in Herefordshire with Cool Camping’s carefully curated list. There are campsites galore to choose from ranging from scenic sites to remote spots, campsites where caravans are welcome, and sites where you can bring your dog. Our selection of campsites picks out the best camping in Kent, from luxury glamping in Kent to traditional campsites and small-scale finds, as well as all the many camping spots in between. Find the best camping site for you and book your holiday online at the best price. 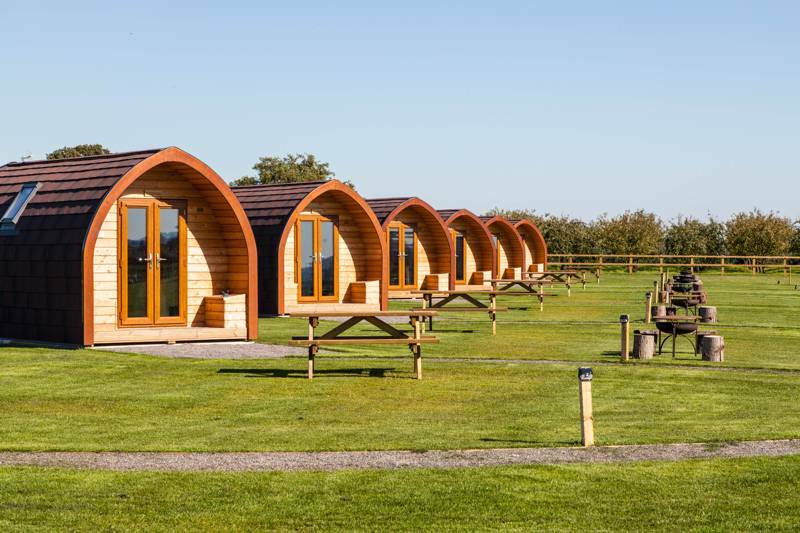 From the varied landscapes of the Oxfordshire countryside to a cultural day out in Oxford, there's plenty appealing about a camping holiday in Oxfordshire and this Cool Camping collection of exceptional campsites is sure to inspire your next adventure. Whether you're pitching a tent or parking up a campervan, these incredible Oxfordshire campsites will be right up your street. Close to London, yet blissfully rural in its own unique way, Surrey is an idyllic camping destination. Discover the best campsites in Surrey with this expertly chosen collection of sites, including tent-only campsites, waterside campsites, woodland camping, campervan camping and even luxury glamping destinations. 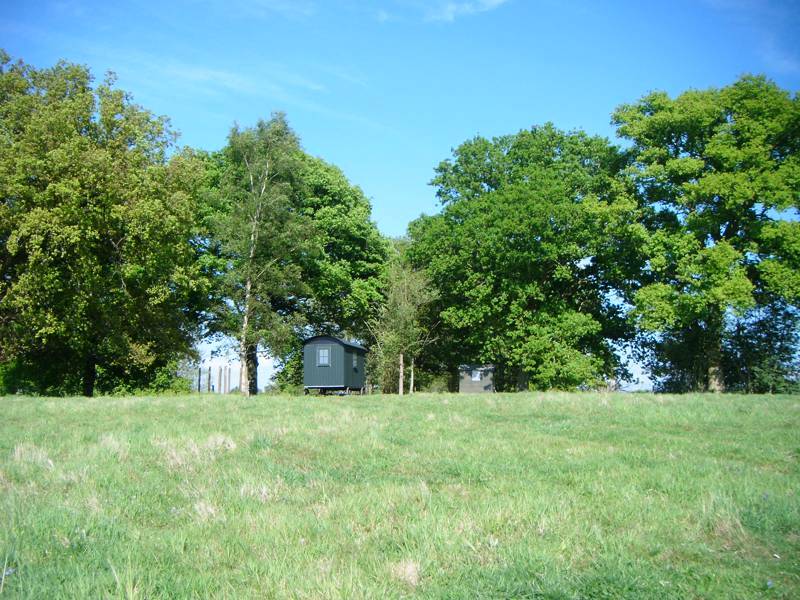 Looking for the perfect Surrey campsite? You’ve come to the right place. Explore the best camping and glamping sites in West Sussex with Cool Camping’s handpicked list.. There’s a campsite for everyone, whether it be glamping, pitching a tent in a remote spot, or back-to-basics family camping. Browse the best campsites and glamping sites on the Isle Of Wight and book your camping or glamping holiday for the best price here. There’s lots to choose from, whether it be tent pitches, caravan-friendly campsites or waterside camps. Read on for a wealth of camping info. Planning a road trip around the South East of England? Or looking for inspiration for your next glamping getaway? Check out our latest blogs related to the region and embark on your own great adventure. For further travel advice you can try the official Visit South East England website, where there are heaps of recommendations for local things to do and places you might like to visit, or stick your head out of the window, feel the wind on your face and simply hit the open road to see where your holiday takes you. From mighty Kent castles to hidden footpaths in the hills of the South Downs, a world of discovery awaits. You needn’t travel for days to escape the capital. There are heaps of campsites near London and, with these top tips, we’ll help you find the out-of-city campsite that’s right for you. Turning the 9-5 work day on its head for a 5-9 microadventure less than an hour from London. Eating great food outdoors is one of the best things about camping, so find a foodie campsite to suit your taste! 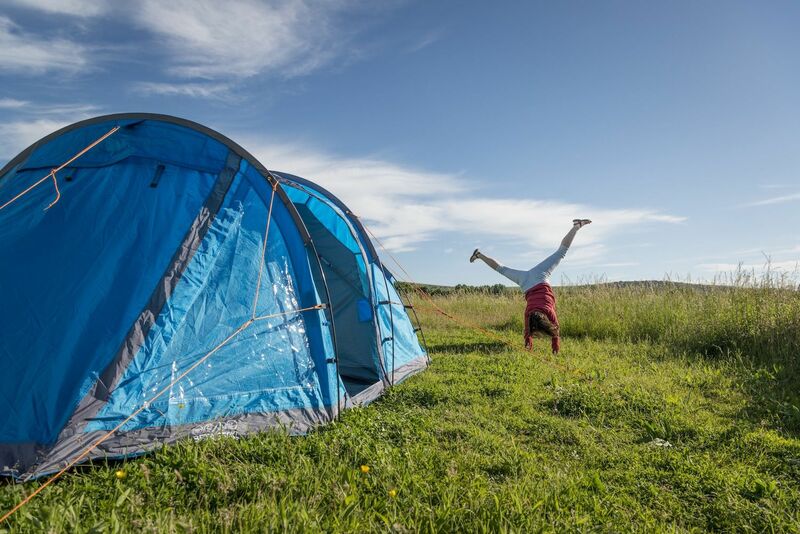 Tent camping in the South East is a great way to enjoy the best of the British weather, with high temperatures and low rainfall compared to the rest of the UK. And surely get outside and pitching your tent has to be the best way to make the most of the regions beautiful landscapes – from waking up to birdsong in an ancient forest to finishing the day with a sunset barbecue on a white sandy beach. With destinations like the South Downs National Park, Canterbury, Ashdown Forest, the Kent Weald and the many seaside towns in Sussex and Hampshire, it will come as no surprise that South East England is a popular choice for a camping holiday. Here at Cool Camping, we promote only the best locations, and there’s such a great range of campsites in the South East – from a secluded, tents-only location at the bottom of a wooded valley in the South Downs National Park, to a site only 150 yards from a Hampshire beach, with views of the Solent and Isle of Wight. 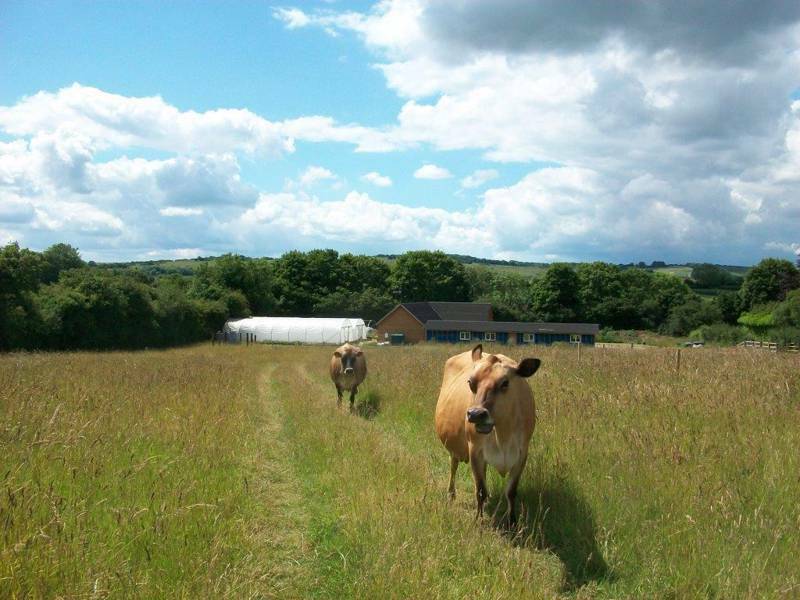 Or perhaps you’d rather pitch at an unpretentious and peaceful farm getaway in Kent? Don’t worry we know the perfect place! Booking a campsite in South East England is sure to provide you with that memorable outdoor holiday you’ve been looking for. So next time you're planning a camping trip, have a look through Cool Camping’s list of hand-picked campsites in South East England. The proximity of Kent and Sussex to Europe has dictated the history of the South East, which has served as a gateway for many invaders. Roman remains pepper the coast – most dramatically at Lullingstone in Kent and Sussex’s Bignor, with both making a great day out. When Christianity spread through Europe, it arrived in Great Britain on the Isle of Thanet – the most easterly point of Kent (since rejoined to the mainland by subsiding sea levels and silting). In 597 AD Augustine moved inland and established a monastery at Canterbury, which is still the home of the Church of England – and arguably South East England’s most important historic attraction. The last successful invasion of England took place in 1066, when, near Hastings, the Normans overran King Harold’s army, on a site now marked by Battle Abbey. The Normans certainly left their mark over this corner of Britain, and Kent especially remains unmatched in its abundance of medieval castles, among them Rochester’s huge citadel, and Dover’s sprawling cliff-top fortress. There’s something for everyone in the South East, from buzzing Brighton to the grand splendour of ‘Britain’s sunniest seaside town’ Eastbourne, and lovely old towns like Royal Tunbridge Wells, Chichester and Lewes. Then there’s the South Downs National Park (covering over 600 square miles), which offers an expanse of rolling chalk uplands that, as much as anywhere in the UK, gets you away from it all. Mostly made up of farmland, the park – which is the newest member of Britain’s national park family – stretches from the white chalk cliffs of East Sussex all the way to Hampshire. The South Downs National Park is, unsurprisingly, home to one of the South East’s finest walks. The ‘South Downs Way’ dips and rises over 100 miles of chalk uplands, between the impressive cliffs of Beachy Head to the mellow cathedral city of Winchester. The South East is also peppered with reminders of the UK’s darker days. History lovers can visit Dover Castle’s secret war tunnels, Hasting’s 1066 battlefield and plenty of scattered Roman ruins. Perhaps England’s spiritual heart can be found in Canterbury: its famous cathedral and ancient UNESCO-listed sights are a must-see for any traveler. The compact city offers 2000 years of history, with Christian and Roman ruins, a Norman castle and charming Tudor dwellings. Away from the great historic sites, you can spend easygoing days in Kent and Sussex – home to pretty harbour towns, and some of the UK’s finest gardens, ranging from the landscaped estate of Petworth House to the gorgeous flowerbeds of Sissinghurst. The Kent Weald stretches across a large area between the South and North Downs and features parts of both Kent and Sussex. The central section – the High Weald – is a jumble of country lanes, gentle hills, and sleepy villages as well the ancient heathland at Ashdown Forest. Too posh to pitch? Don't worry, the very best glamping sites are available to book right here on Cool Camping, ranging from family-friendly safari tents in Bedfordshire to simple, summer bell tents in Kent and cosy shepherd's huts near the New Forest, that are open all year round. So if you fancy glamping in South East, take a browse and find the location that's perfect for you. Oh, and it's not just typical glamping accommodation that's on offer either. We've been out and about exploring and have been staggered by the range of unique places on offer in the region. Two fairytale treehouses in the East Sussex have knocked our socks off, while we've also found a brilliantly converting caravan chassis that’s now a remote Hertfordshire hideaway. Whatever you're looking for, the best places will be right here on Cool Camping. So take a look now and discover your next glamping adventure in the South East today. 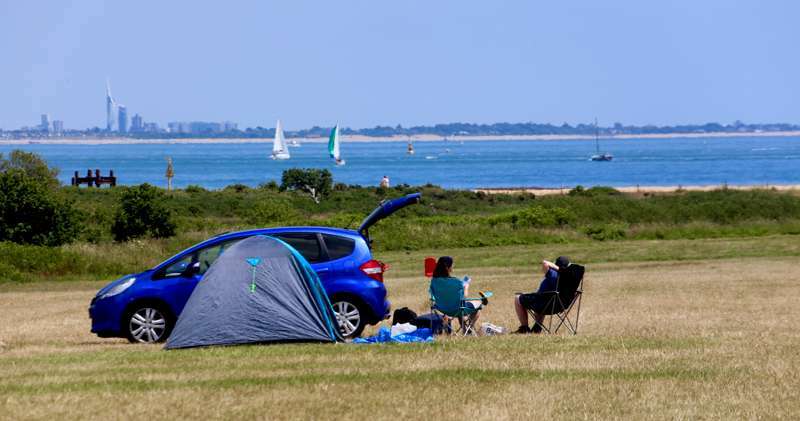 You can't beat camping near the coast – we've even written an entire book about it – and, when it comes to seaside camping we simply love throwing our tent into the car and heading to the South East of England. From the mighty cliffs of Dover, to the expansive sands of East Sussex, this dynamic, historic shoreline is both accessible and convenient as well as utterly beautiful. A few miles west of Rye in East Sussex, much-loved Camber Sands’ is a particular favourite of ours. Here the huge expanse of dunes and sand can get busy but, head over towards the western end and you will escape most of the crowds, while still enjoying the brochure-blue of the sea. Go there for a sunset walk on a warm night and you might just forget you’re in England! For views, meanwhile, West Wittering’s open stretch of sand overlooks Chichester harbour and the Solent in Hampshire – the best way to reach it is undoubtedly to take the train to Chichester (with a bike), and then ride along the excellent new 11-mile Salterns rural cycle route. From the western end, you can cross a ridge to East Head – a remote sand-dune at the mouth of the harbour that's a delight for kids to play on. To really engage the imagination, though, take the little'uns fossil hunting. Botany Bay is the most northerly of Broadstairs' beaches in Kent, and arguably the most charming, with a 660-foot curve of sand, backed by white cliffs and chalk stacks. When the tide is out it’s excellent for fossils. We've found ourselves here for hours on end with the kids and, if we're not fossil hunting, it's exploring rock pools that fills the time. The most intrepid visitors can also paddle round to the beach's secret bay, where the cliffs where once used by smugglers to hide their booty. You can't mention beaches in the South East, without mentioning Brighton. It is, undoubtedly, one of England's coolest coastal cities, and has been London's favourite seaside getaway since the Prince Regent first came two centuries ago. Since then, its been knocked about a bit, but Brighton is still the quintessential English beach escape for many. Popular with kayakers, it's now also home to British Airways i360 – the world’s tallest moving observation tower. Come bank holiday weekends the city's beach still fills with sun-seekers and swimmers (whatever the weather) with campers from the surrounding countryside coming along for the fun too. Even those pitching tents in the South Downs will often bring the beach ball along, just in case. For something different, Littlehampton in East Sussex boasts two award-winning beaches, the gorgeous River Arun and a huge seafront green. There are also two excellent beach cafés designed by top-notch British architects: the East Beach Café by Thomas Heatherwick, and West Beach Café by Asif Khan. St. Mildred’s Bay, too, has a local café as excellent as the beach itself. A stunning cliff-lined, sandy bay, St Mildred's boasts calm swimming conditions for most of the year. Aside from the obvious seaside attractions, there are designated walks along the cliffs which have been declared a site of special interest. Travel up the coast on the ‘Viking Coastal Trail’ and you can choose between the historic Reculver Towers, or rejuvenated Margate to finish up a day by the coast. Opened almost 600 years ago, the George and Dragon (01304 613106) in Sandwich – once England’s fourth city after London, Ipswich and Norwich – has been a favourite watering hole for centuries. The menu changes seasonally, and if you’re lucky you might find a fillet of sea bream and saffron potatoes on your plate. Surrounded by pretty Shoreham’s countryside, family-run The Two Brewers (01959 522800) takes pride in serving top-quality, traditional pub grub. After a long walk, bundle in and get a round of drinks in before ordering a hearty chicken, bacon and leek short crust pie. Tucked away from the bright lights of Brighton’s seafront, it would be easy to miss the Sussex Yeoman (01273 327985). But for those who turn right and walk up Guildford Road as soon as they leave Brighton Station, they'll find one of the best Sunday roasts in the South East. The pub supports local charities and suppliers and is only a short walk to the North Laines and central Brighton. Mermaid Street is a must-see of Rye, with its steep, picturesque cobbled curve. The Mermaid Inn (01797 223065) is an ancient inn dating back to the Norman Conquest, and the main pub was built in the 15th century. The pub boasts features a lovely log fireplace, and attracts everyone from ghost hunters to Shakespeare historians. The Hatch Inn (01342 822363) used to be a row of three cottages said to date back to 1430 and was known to be a haunt for smugglers. Today, beer lovers will be pleased to know they can get a nice pint of Harveys here. One of the pub's two gardens boasts gorgeous views of Ashdown Forest, and you may recognise the pub from TV – it’s been a setting for the likes of Channel Four’s Celebrity Wife Swap and ITV drama Rough Treatment. Explore more than 1400 years of Christian history at the extraordinary Canterbury Cathedral. Visit the Turner Contemporary art gallery, on the site of a seafront guesthouse where JMW Turner used to stay. Discover the exquisite Salutation Gardens, laid out behind a glorious 1912 mansion. Walk the South Downs Way, boasting some of the UK's most impressive coastal scenery. Buy a book from Camilla’s in Eastbourne; a Victorian town house packed with half a million musty volumes. Gaze in awe at the thrilling beauty of Beachy Head. Check out the world’s most slender tower and Brighton’s newest attraction, the i360 Tower. Watch ships passing in and out of Southampton Water from pine-fringed Lepe Beach. Ride through peaceful woodlands at the West Wood Trail at Farley Mount. Enjoy the wide-open landscape of Cissbury Ring and discover the sites hidden stories. South East England kent surrey sussex campsites glamping at Campsites in South East England, Whether it’s pitching your tent or parking your caravan, this expertly selected collection of campsites in South East England will be the perfect inspiration for your next camping adventure. Discover the South East’s best campsites now and book online instantly at the best price.